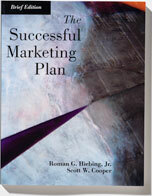 Scott Cooper evolved the disciplined marketing strategy & planning process as a way of telling, communicating, and measuring company stories by doing it with some of the best marketing companies in America. He was formerly Senior Vice President of Marketing for Famous Footwear, Senior Vice President of Corporate Marketing and Branding for Brown Shoe, and President of The Hiebing Group, a 70 person brand marketing firm. 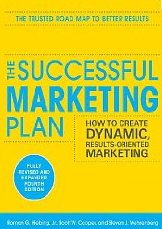 He’s taught marketing planning for the University of Wisconsin School of Business, delivered seminars on marketing planning nationally and has co-authored four books on marketing planning published by McGraw Hill. Explorations into women’s closets, joining them on shopping trips, hours of filming their interaction in-store and quantitative tracking studies led to the conclusion that Famous Footwear needed to change target market focus and create a different story. Changes in product, store design, media mix -- the development of an industry leading CRM database program, refocusing of the interactive strategy and the creation of a test and learn environment all combined to result in awareness and traffic increases, positive perception changes, an increase in share of wallet and closet and, along the way, a 300+% gain in operating profits over six years. Was AAA an insurance agency, a towing service, a travel agency, a financial firm, an affinity program, or a membership club? The lack of brand positioning clarity was resulting in a very low understanding of club benefits and poor first year membership retention. A clear scope of business and brand story, a new membership packet and successful first year retention program got AAA back on the road to success. How to increase market share of young adults? Connecting Coors with summertime parties proved more powerful than talking about how the beer was brewed. Ask Scott about the ability of giant downtown beach parties across the country to attract new users and improve perceptions of the brand. Many beach tan line contests later, awareness climbed, perceptions changed and new trial numbers soared. How do you sell a product you can’t see – pure water? A marketing plan cleaned up for the company’s water filtration products. The plan included defining business-to-business retail and consumer targets, brand positioning, integrating packaging, advertising, PR, media plan and evaluation metrics. Pure success. How best to introduce a new five blade propeller? Identify two heavy user groups – fishermen and water skiers. Create a name that is part of the target market vocabulary and describes the product (High Five). Focus the initial marketing primarily on gaining trial and distribution and then secondarily on gaining trial from key consumer influencers. The result? A HIGH FIVE for all involved. For 17 years while leading one of the Midwest’s most successful marketing/ advertising/ consulting firms, Scott turned his doing by day into teaching by night. It was through the unique combination of working with some of America's top business people, teaching in the University of Wisconsin School of Business at the undergraduate and graduate level and through leading seminars for the University of Wisconsin Continuing Education Program that Scott developed his process for disciplined marketing planning.